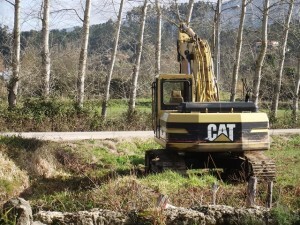 There is something fundamental a kind of primeval urge for us to have a go a driving diggers, earth movers and dumpers. I have met many a person who has invented or inflated a small project that they can do by hiring a digger or dumper from a plant hire company. 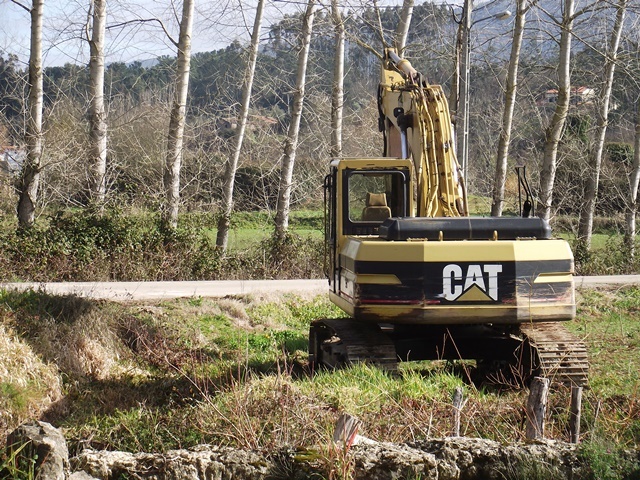 Many people assume that it will be as easy to hire tools and equipment here in Portugal however unless you live in Lisbon or Porto it is very difficult to find anyone who will let you have a digger or dumper without a driver. This is actually no bad thing. Accidents with even the smaller versions of earth moving equipment are often fatal. This You-tube video is typical of people who have no training or experience. If you hire a digger and driver for example the length of hire will be less because the driver knows what he is doing so you save money and the work will be neater and safer for those working nearby and in fact better all round. One final point. If you are digging a hole for example to make a cesspit or a swimming pool you already know that there will be a lot of waste soil or stone (spoil as it’s called in the trade) On many occasions when a pool has been dug the owners think that they will just rearrange the spoil around the garden. What happens if what you dig out of the hole is not nice top soil but rock. Do you have a place to put 60 tonnes of rock and if not are you ready to pay for it to be transported away.